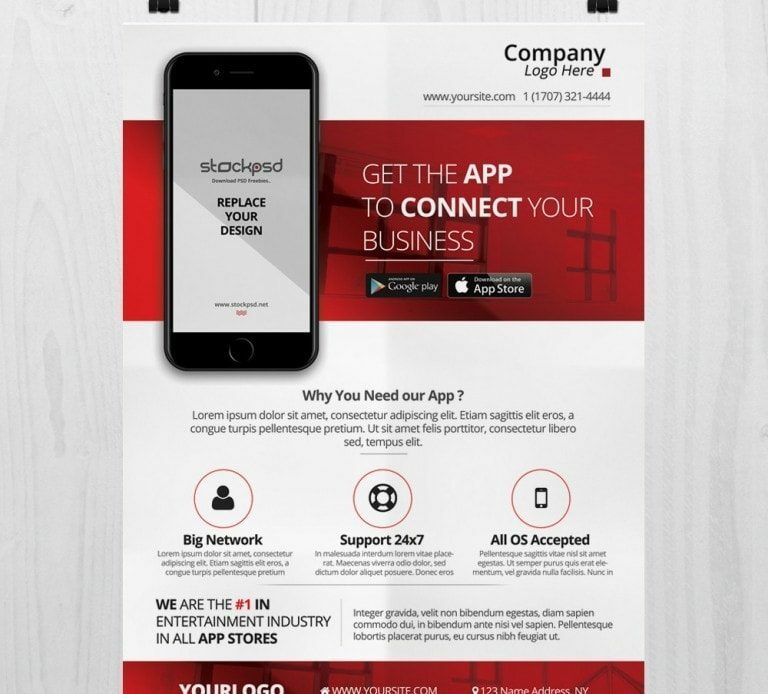 Download Mobile App Business PSD Flyer Template for Free. This Free Flyer is Designed by Stockpsd.net ! Mobile App PSD Flyer is suitable for any Mobile App Promotion, Networks or other business / corporate. PSD File is in print-ready 300dpi in A4 standard size. Mobile App Business Flyer is in A4 size with 300dpi resolution. If you have any Application or Mobile Website, you can use this flyer to promote your business app or add your services. Mockup is also editable so you can easy replace your own app screen. Flyer is fully layered and very well organized in folders. You can easy change the text or color shapes and replace current images with your own images. Please note, Mockup if iPhone 7 is designed by Downloadmockup.com . In help file is also attached link so you can find mockup to download or you can explore better Freebie mockups by Download Mockup Team.